What is the diagnostics check? Reading the codes from your car’s computer system is similar to a doctor measuring your blood pressure when you schedule a visit. High blood pressure doesn’t tell the doctor what is wrong with you it simply lets the doctor know there is something wrong and points him or her in the right direction to find out what it is. Just like the check engine light codes tell your Brickyard Automotive technician there is something wrong and points him or her in the right direction, too. If the code indicates a problem with your O2 (oxygen) sensor system, it doesn’t necessarily mean you need a new O2 sensor. 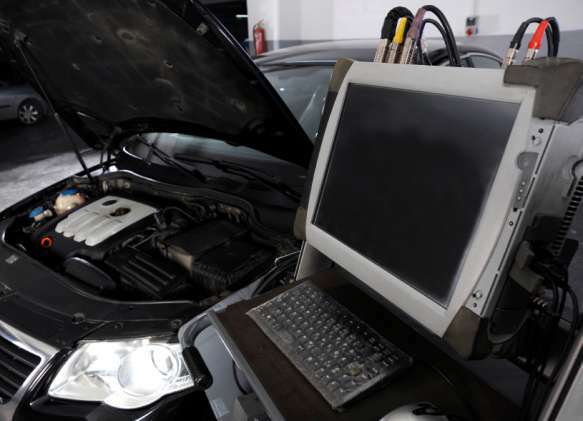 Additional diagnostics pinpoints the exact cause of the “trouble” code so you don’t pay for parts or services you don’t need. Be wary of garages that read your code and tell you immediately that you need a major repair. Brickyard Automotive makes it easy to keep your car running longer.